New Providence, Bahamas – Margaret Mede once said: “Never doubt that a small group of thoughtful, committed citizens can change the world”. For members of the Voltar’s World Service Club, this mantra fully encompasses their work. Though small in size, they are committed to the execution of their island-wide cleanup campaign dubbed ‘Exterminate the Waste’. For the past two years, Voltar’s World, a service organization targeting inner-city communities, has worked with one mission in mind which is to shift the way the public views waste disposal. 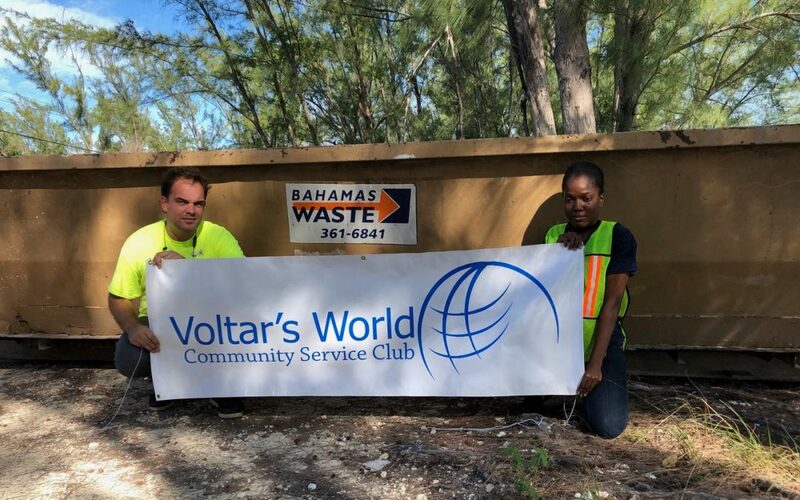 Since inception, they have been supported by leading waste management company, Bahamas Waste Limited (BWL), who provides Voltar’s World with 20ft dumpsters, dumpsters and other equipment needed to aid in the removal of debris. Bahamas Waste also collects and disposes of all the debris and trash for the group, at no cost. Project Exterminate the Waste, which is now a little over five months old, has brought together volunteers from all walks of life, all with a singular goal – to give back to the community. Persons interested in joining the Voltar’s World Club as a volunteer can do so by emailing voltarsworld242@gmail.com or by visiting the club’s social media page athttps://www.facebook.com/voltarsworld242/.